Ubuntu is the most popular version of desktop Linux. It gets most of the press and has the most users. When a developer provides a Linux version of a cross-platform app, often it’s only for Ubuntu. Sure, you can get games to run on whichever version of Linux you want, but Ubuntu’s often the one with official support. With all of these advantages in Ubuntu’s favor, why do people choose Ubuntu alternatives? Why might you? Ubuntu is a free and open-source Linux “distribution” (or “distro”) that anyone is free to use and edit as they please. 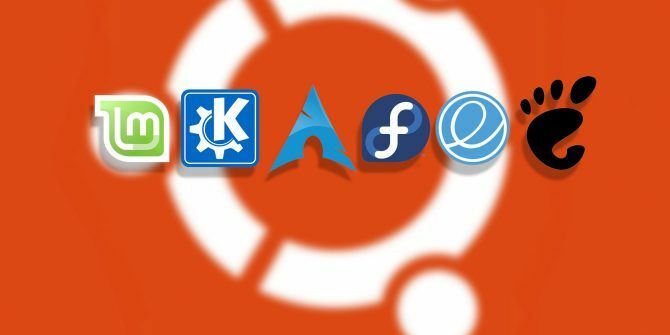 The vast majority of the software that goes into Ubuntu is the same as what you will find on other distros The Best Linux Software and Apps The Best Linux Software and Apps Whether you're new to Linux or you're a seasoned user, here are the best Linux software and apps you should be using today. Read More . What stands out is how all of these components are packaged together. To make things simpler for users, Ubuntu comes with a bunch of tools and background services baked in. This enables newcomers to use Linux without needing in-depth knowledge of how the system works. For those with more experience, this saves them the effort of having to assemble things themselves. But you may not like the components that Ubuntu has chosen. You may not be able to swap out certain parts of the system or find that the difficulty is more trouble than it’s worth. In that position, it’s easier to use a Ubuntu alternative that utilizes the open source components you prefer or one that lets you build your own system from scratch How to Gain Total Control of Your PC With Gentoo How to Gain Total Control of Your PC With Gentoo Gentoo is a true Linux operating system for power users, but with the right knowledge, anyone can gain control over their PC with Gentoo Linux -- even you! Read More . New Ubuntu releases arrive twice a year. Those that end in X.04 launch in April while X.10 versions become available in October. This timing is based on the GNOME desktop environment’s release schedule GNOME Explained: A Look at One of Linux's Most Popular Desktops GNOME Explained: A Look at One of Linux's Most Popular Desktops You're interested in Linux, and you've come across "GNOME", an acronym for GNU Network Object Model Environment. GNOME is one of the most popular open source interfaces, but what does that mean? Read More , where new versions launch in March and September. Ubuntu alternatives come with a different schedule. Fedora’s is similar to Ubuntu, with new versions coming twice a year: one typically between November and January, and another sometime in the summer. While Fedora’s timing is less predictable, the delay of a couple of months means the distro typically comes with newer versions of apps. Fedora also tends to send out more app updates in between its major six-monthly releases. You may prefer to avoid regular releases entirely. Some Linux distros use what we call a rolling release model What Is a Linux Rolling Release, and Do You Want It? What Is a Linux Rolling Release, and Do You Want It? Learn more about why certain Linux distributions have a "rolling release" schedule and what that means for you. Read More . You install them once, then updates to apps and major system components gradually roll in indefinitely. There are no major releases for you to upgrade to. Arch Linux and openSUSE Tumbleweed are two distros that take this approach. Ubuntu-based distros are take after Debian, which uses the APT system A Beginner's Guide to Installing Software in Ubuntu with APT A Beginner's Guide to Installing Software in Ubuntu with APT If you've used Ubuntu you have probably used the apt command at some point. But did you know there's so much more to it than apt-get install and apt-get upgrade? Read More to manage software (commonly referred to as “packages”). Fedora uses DNF, openSUSE uses Zypper, and Arch Linux uses pacman. While these package management systems largely do the same thing, they function differently Which Linux Package Manager (and Distro) Is Right for You? Which Linux Package Manager (and Distro) Is Right for You? A key difference between the main Linux distros is the package manager; the differences are strong enough that it can influence your choice of distro. Let's look at how the various package managers work. Read More . As command line tools, you need to know precisely what words to type in order for any of these systems to work. Once you learn one, it can be inconvenient to learn another. Or you simply may prefer the way one works. Pacman, for example, lets you install software with minimal typing. APT has a purge command that rids your system of downloaded packages, whereas DNF doesn’t. No system is best, so whichever one you like is largely a matter of taste. But while Ubuntu lets you swap out many components of your operating system, you can’t switch the package management system without switching to a different distro. Canonical, the company behind Ubuntu, has sought to improve the Linux desktop by providing a more consumer-ready experience. The goal was to provide a differentiated experience that attracted people to Ubuntu and kept them there, without resorting to software vendor lock-in What Is Software Vendor Lock-In? (And How to Avoid It) What Is Software Vendor Lock-In? (And How to Avoid It) Software vendor lock-in is considered by some to be a big infringement on your rights as a consumer. But what is it? Why is it so bad? And how can you avoid it? Read More . Along the way, maybe the company would discover how to build a sustainable business model based on desktop Linux. So for over the past decade, people have seen many initiatives come and go. Canonical no longer invests in the Ubuntu Software Center, App Indicators, Unity, or Ubuntu One cloud storage. Other experiments, such as Ubuntu for TV and Ubuntu Phone Should You Get an Ubuntu Touch Phone or Tablet? Should You Get an Ubuntu Touch Phone or Tablet? But is the Ubuntu Touch platform a truly successful mobile iteration of Linux's most well-known distribution? Can it compete with Android and iOS? We're going to take a look. Read More , failed to gain traction. Unity 8, the new interface Canonical spent years working on How to Install Unity 8 and Mir on Linux Ubuntu Right Now How to Install Unity 8 and Mir on Linux Ubuntu Right Now In time, Unity 8 is expected to unify the Ubuntu experience across phones, tablets, and desktops, using the Mir display server. You can try both of them out today with Ubuntu 16.10 Yakkety Yak. Read More , never saw an official release. Many people were excited about Ubuntu 17.10 not because Canonical has finally delivered a remarkable unique experience, but because it has stopped trying Stick With Ubuntu: GNOME Feels Surprisingly Just Like Unity Stick With Ubuntu: GNOME Feels Surprisingly Just Like Unity Ubuntu has abandoned Unity in favor of a new spin on the GNOME 3 desktop. But is it really all that different from Unity? Here's why you shouldn't really be thinking about quitting Ubuntu. Read More . Rather than prioritize contributions to existing free and open source projects, Canonical focused resources on software and services only intended for Ubuntu. Much of the company’s creations could be used on other distros, but the onus was on others to take the code and make that happen. Many were not willing to do so because Ubuntu software often required editing core libraries in a way that could break other software that depended on these libraries. This also impacted Ubuntu users. The previous default interface, Unity, required patches that caused problems for people who wished to use the GNOME desktop environment instead. Canonical’s approach created a gulf between people who used Ubuntu and people who used Ubuntu alternatives. Unity, Ubuntu One, and the Ubuntu Software Center were Ubuntu-specific experiences. With Unity 8, Canonical was creating its own display server (used to render pixels on a screen) called Mir, while nearly all other distros intended to use Wayland instead Using Linux With Wayland? Here's What You Should Know Using Linux With Wayland? Here's What You Should Know You might have heard about the Wayland display server, but what is it? How does it affect you and your Linux computer? Here's what you need to know. Read More . Canonical also developed its own package format (Snap) rather than using the option more distros were looking to adopt (Flatpak). 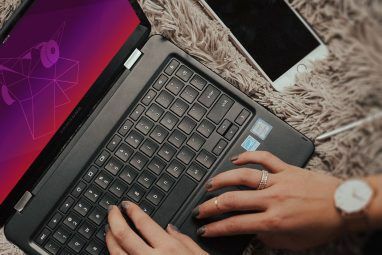 New versions of Ubuntu may have much more in common with other distros now that Canonical has abandoned many of its projects, but the company is still throwing its weight behind the Snap format. It’s easy to imagine Ubuntu finding new ways to diverge from other distros in the future. Part of what made Ubuntu popular in the beginning was the ease with which it provided proprietary software. This included Adobe Flash and codecs needed to play popular media formats such as MP3s Why Your Music & Video Files Don't Play on Linux, and How to Fix It Why Your Music & Video Files Don't Play on Linux, and How to Fix It You've switched to Linux, but your video or audio files file won't play! Simply, your Linux version didn't come with the necessary codecs, so let's find out how to install them. Read More . Admittedly, this made it much easier for me to switch to Linux. I didn’t yet know why some distros avoided these formats — I just expected things to work. While Ubuntu remains an overwhelmingly free and open source project, it now provides even more proprietary software than people have come to expect from their time on other operating systems, such as Spotify and Mailspring. It’s easy to install closed source software without realizing it. Thing is, there are issues with closed source software that have nothing to do with price 5 Reasons Why Software Should Be Free and Open Source 5 Reasons Why Software Should Be Free and Open Source Free software doesn't just mean you get to use the app or game without paying. It's about longevity, privacy, ownership, and much more! Read More . One of the reasons I use Fedora instead of Ubuntu 5 Reasons to Use Pure Open Source Distro, Fedora 5 Reasons to Use Pure Open Source Distro, Fedora Fedora isn't as well known as Ubuntu, and has a reputation for being hard to use. But if this is true, why do so many people continue using Fedora? Read More is because I know it doesn’t provide any non-free software aside from the closed hardware drivers integrated into the Linux kernel. There are other distros out there 4 Linux Distros That Are Completely Open Source 4 Linux Distros That Are Completely Open Source Linux is the distro of choice for freedom loving software hippies, but not everything you see is open source! Let's take a look at four Linux distros that are totally open source. Read More that strip closed source components from the kernel, even though that means not supporting as many PCs. For people deeply concerned about the ethics of free software, hoops like these are worth jumping through, and it can feel safer to avoid using Ubuntu entirely. Do You Use a Distro Other Than Ubuntu? Ubuntu (or rather, Xubuntu) was the first Linux distro I ever installed, but it’s not the one I use today. Even when I install Elementary OS Want to Install Elementary OS? 7 Reasons Why You Should! Want to Install Elementary OS? 7 Reasons Why You Should! Elementary OS has developed into a compelling computing experience in 2017. Wondering if it's time to make the switch from your current Linux operating system? Here's why the answer is Yes. Read More , I sometimes wish it weren’t based on Ubuntu. Even with a different interface on top, I’m just not all that into the Ubuntu ecosystem. But Ubuntu is great! I would gladly use Ubuntu over a commercial operating system, and I have no problems recommending it to new users. When I help people use Ubuntu on this site Ubuntu: A Beginner's Guide Ubuntu: A Beginner's Guide Curious about Ubuntu, but not sure where to start? Everything you could possibly need to get started with the latest version of Ubuntu is right here, written in easy-to-understand, plain English. Read More , I’m not doing so with any bitterness or frustration. If people want to use Ubuntu, that’s a wonderful thing. And if they later decide to use something else, like I did, that’s cool too. Who knows? With Ubuntu switching back to GNOME What Switching Back to GNOME Means for Ubuntu What Switching Back to GNOME Means for Ubuntu Canonical has announced the end of the Unity desktop. From Ubuntu 18.04, the GNOME desktop will be restored. What does this mean for Ubuntu, and its relationship with Linux users? Read More , maybe I will eventually switch back someday. What distro do you use? Did you start off on Ubuntu only to branch off to something else. Did you start off elsewhere and gravitate toward Ubuntu? I’d love to hear your story! Fedora now does the upgrade between releases on previously running installs. Install and forget. Been with it since fc1 incarnation from redhat. Ubunto seems like a child friendly version of Unix/Linux. Not dissing it, I just don't steer towards using it for that reason. Or just use Ubuntu because it works! Is fun to check other distros, but when you need to do things you need the tools that make you DO things, not reconfigure, install, test, etc. I used multiple distros, but just use the thing that is ready for the job. I started using Linux after Windows 10 came out and all of the privacy concerns followed. My first distro was Debian. I liked it and learned basic command line to manage my installs of programs. I eventually went to Ubuntu, but was unimpressed. Moved to Mint, then back to Debian. I tried Elementary, then settled on Manjaro after briefly flirting with Deepin. I have recently returned to Ubuntu and I'm happy with it. I like that I can run Spotify on it without having to jump through hoops. 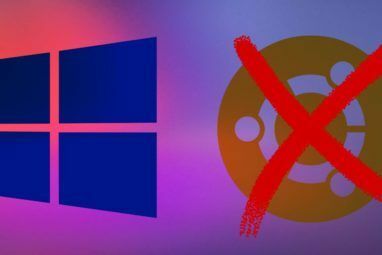 I think Canonical wants to make Ubuntu a viable third OS option for the average user and that's why they are beginning to embrace some proprietary software. For a purest it's a downside, but for a user looking for an alternative to Mac OS and Windows, it's a big plus. How do you figure proprietary software is a "big plus"? "Linux proprietary software" is an oxymoron. Linux is all about Open Source and freedom. It's a big plus in terms of making it more user friendly for the masses. If someone wants to use something like Spotify, they lean more towards Windows or Mac, Linux isn't even a thought for them. Why? Because Linux isn't known for having stuff like Spotify natively available. Why do people choose Windows or Mac? Because they don't have to work hard to add their favorite programs. They can point, click, install. When I used Manjaro, I liked the fact that I could use WPS or Spotify by simply searching for them. I don't mind command line, but it can be a pain when you just want to use a program and find it easily. One major problem with Linux is the club that refuses to die. They moan that Linux isn't more popular, but get upset when a distro tries to become more mainstream. "Why do people choose Windows or Mac?" Because they don't any better. That is all they ever hear about. Because that is all that is all that is commonly available. Because you already have to be familiar with Linux to know that PCs pre-loaded with Linux ARE available and where.
" Because they don't have to work hard to add their favorite programs." I don't have to work hard to find my favorite programs either. They are all installed on my PC, I've been using them for a long time and that is why they are my favorite ones. If I want to find other programs, I just open up my Package Manager, click on the Categories tab and all the available programs are listed. To install, I right-click on the program name, click on install then on Apply and in a minute the programs are installed. I don't have to go to the store, search Amazon or the Internet, I don't have to worry about dodgy download sites. So your complaint about the lack of "favorite programs" is a straw man. "They moan that Linux isn't more popular, but get upset when a distro tries to become more mainstream." How would you and all the other Window Fans respond if all the Linux users started demanding that Windows be more like Linux? You would say "Windows is different, live with it!" Linux is different from Windows, so get used to it and quit moaning that "it isn't part of the mainstream." I usually use Ubuntu Mate in an LTS version. I like the longer release times and knowing when the Distro will become end of life. I find Mate much more to my liking than Gnome, and Ubuntu Mate still ships with Synaptic and no Dash. I also use Debian and LMDE on certain computers. I like Debian's stability, but can be frustrated by apps no being up to date. I have just started with Mint DE but am quite impressed with it, and it also is an LTS. Arch Linux uses pacman and NOT packman. I installed Ubuntu Feisty Fawn dual boot with XP out of curiosity. Now only use Win at work. I have Arch & Slackware on a VirtualBox and now use Xubuntu as my main OS mainly because my hardware won’t run anything with much more overhead. Ubuntu lost me with Unity. Now I hear that they plan to remove desktop icons. They make lots of decisions that make the Desktop more difficult to use instead of improving the overall user experience. If a company simply doesn't "get it", there's no reason for me to install what they offer and spend countless hours tweaking it. I got tired of fighting my OS - part of the reason I left Windows. I'll stick with a distro that isn't mindlessly experimenting at the cost of efficiency. Seriously... if you're going to reinvent the wheel, don't make it square. From my understanding, it's a GNOME thing not Ubuntu. The next GNOME update is supposed to do away with desktop icons. They might be taking a page from Elementary OS with that one. I read about the change on another site that talked about the upcoming GNOME update. The GNOME interface hasn't provided desktop icons by default since 3.0 came out in 2011. Distros that enable those icons do so by turning on a hidden setting. Thing is, those desktop icons aren't rendered by the GNOME Shell or the desktop, but by the file manager. While functional, that code is no longer supported, and the file manager team is ready to let it go. It makes sense when you consider that 1) GNOME doesn't use desktop icons by design, and 2) providing desktop icons via the file manager is kind of a roundabout approach in the first place. By enabling those desktop icons, Canonical was actually trying to please users like Gazoo who prefer for them to be there. Now that the GNOME file manager will no longer offer that functionality, Canonical can either use an alternate file manager such as Nemo that supports the feature or find some other solution. Updated information -- Ubuntu 18.04 will come with an older version of GNOME Files in order to keep desktop icons. Sounds like another good reason for me to avoid ever returning to Ubuntu. I absolutely detest digging through menus and submenus to have to find things. It might well make the desktop 'prettier'.....but although I gave Windoze the 'bum's rush' years ago, I've always liked my icons. 'Puppy' Linux & AntiX allow me to do just that. Mark Shuttleworth and Canonical are trying to copy Bill Gates and Microsoft by creating their own versions of widely used software. He wants total control over the software that goes into Ubuntu. His software may be open source but it is also proprietary. My biggest problem with Ubuntu, other than Shuttleworth/Canonical philosophy, is that Ubuntu is a monolith that has to be used as installed by default. Additional software can be added but unneeded/unwanted software cannot be uninstalled because it all has vital system files as dependencies. I use only one language on my computer so once the install is done, I do not need to keep a language pack for almost every language spoken on this planet. I use only one video card and maybe two printers. I do not need a driver for every video card and printer ever made. I can uninstall that unneeded software from most of non-Ubuntu based distros but if I try in Ubuntu, I will trash the system. Even silly programs like 'cowsay' and 'fortune' cannot be uninstalled without wrecking the system. I am currently using PCLinuxOS but I was running MEPIS when I first came across Ubuntu. It was the first version (v.4?) released by Canonical. It's doodoo brown color scheme was an immediate turn off. Being an inveterate distro hopper, over the years I tried couple other Ubuntu versions, as well as other Ubuntu-based distros. They all have the same problem - uninstallable software. Like you, I would recommend Ubuntu or one of its derivatives as the first distro. However, as soon as the person learned how to spell L-I-N-U-X, I would try hard to convince them to switch to a non-Ubuntu distro, such as PCLinuxOS. I think PCLOS is an underappreciated (as in not much written about) distro. It is as easy to install as Ubuntu. By choosing the defaults, even a complete neophyte can install it. The software repositories are as extensive as Ubuntu's (granted, no PPAs, but then they are *buntu only). And PCLOS is a rolling release distro which means it does not have to be re-installed every six months, like Ubuntu. Inveterate Distro hopper here. Second the thumbs up on PCLOS. Sweet install. Good hardware support in my experience. Worked very well out of the box on creaky hardware. Intuitive and has a good depth to the GUI tools for tweaks and OS management should the command line prove opaque. Would not hesitate to recommend this as the first Linux distro for a Windows user. I played with Ubuntu but for some reason was slow on my laptop. I like the interface and after having used a MAC, I like the program dock. My issue was that it seemed that the Ubuntu seemed slow on my laptop. So I switched to Mint and found that it was quicker and was easier to use (for me). I then discovered Antergos, which was a really nice distro. I loved PACMAN and AUR as they have the most apps distro out there. I was happy until I tried to network and share between my laptop and my windows machine as well as getting cups to work to access my network printer, so I switched back to Mint and had no issues with networking or printing.